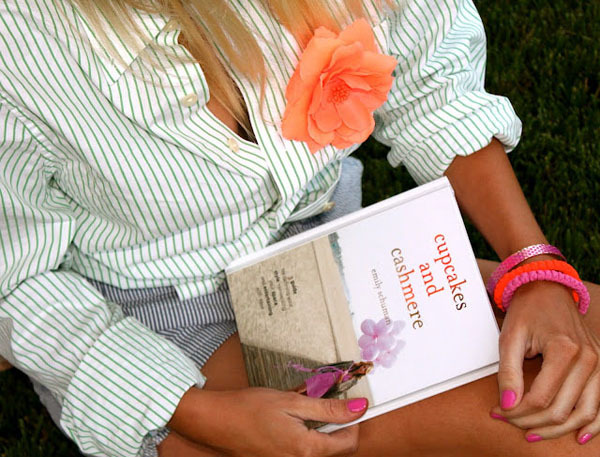 Our Pink and Neon Orange Prayer Rope Bracelet Featured! In fashion it’s all about taking risks. No one simply wants to follow the trends; they want to be the trendsetter. Now, if you want to be the trendsetter, there’s only two things you should know. Study upcoming trends making them your own and take risks by being bold. To take risks and to be bold in fashion is mixing leopard and zebra print together – for an example – and making it work. BE BOLD! Take a look at the shoes in the picture above. See how bright and bold they are? Do you notice how eye grabbing the colors are? No one really thinks to pair neon pink and green together, but it works. So, take note that being bold and breaking the rules of fashion doesn’t have to be your entire outfit, it can be shoes like these. The great thing is using your shoes to be the trendsetter is that it can be seen as taking a baby step because at times people aren’t too comfortable in being bold throughout their entire outfit. Therefore, keep a look out for unique shoes that aren’t of the fashion norm or simply go out and purchase blank canvas shoes and create your own shoe with paints, markers and etc. Be Bold but Simple. Jumping into mixing prints and patterns can be overwhelming, and there’s nothing wrong with taking gradual steps like mentioned above. Accessories can help you enter into the world of trendsetting. Notice the neon pink purse the model is wearing with the different shades of brown as trim. Doesn’t it grab your attention? In fact, it may be the first thing you notice because the models clothing isn’t necessarily eye-popping, leaving majority of the room for her accessory – the purse – to deem the attention. This is a simple step so when you’re out shopping keep on the lookout for accessories like the purse to stand out with. Even check out vintage stores, you’re bound to find some incredible stuff there. Take Risks. It’s no secret that mixing prints and patterns . . . it can be exhausting. If you see in the picture above this text, the model has decided to combine pinstripe shorts and shirt. Everyone knows that in fashion that it’s a no-no, however, the model is the trendsetter and the rules need not apply. Normally if you decide to wear a pinstriped shirt, you then would wear a solid color bottom and vice versa. This helps create the outfit to be balanced and not all over the place. But the model was obviously inspired to take a funkier route, mixing up striped shirt and short. Be inspired by this right here because this is the guide to prints and patters and trendsetting – that pretty much anything goes when you’re breaking the fashion mold. Don’t Be Afraid of Color. There’s already enough darkness in this world, so don’t contribute to it with your wardrobe. Don’t stick to the safe colors that you know so well. Dive into something new, like purchasing a new top in a bold color you don’t own. If you don’t wish to part with your safe colors, start purchasing bracelets, necklaces and pins that are filled with color. These will help piece together an outfit better, all the while you still have the comfort of your familiar clothing. Notice the picture above, see the pink and orange prayer rope bracelets? See how well they contrast with the shoes and purse in the previous pictures? Yet, clashes with the orange flower on the shirt? This future trendsetters, this is what keeps the outfit alive and full of potential possibilities. So, go and get in touch with your inner trendsetter. The neon orange prayer rope bracelet is available in our store!